Scouring the pages of home catalogs and ogling homes featured all over the internet are some of our favorite things to do. Needless to say we love interior design—but that doesn’t make it easy! 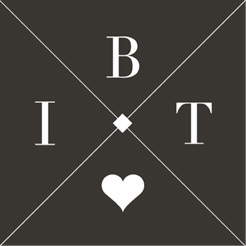 We’ve pulled together the design trends and tricks that we are the most in love right now, and our favorite ways we have seen them executed! Here’s how to make the most of your living space, pulling from new interior design trends! Why settle for one piece of art when you can have a wall full of it?! This is a great way to show off a collection of items or your favorite sayings, or to balance out smaller artwork. 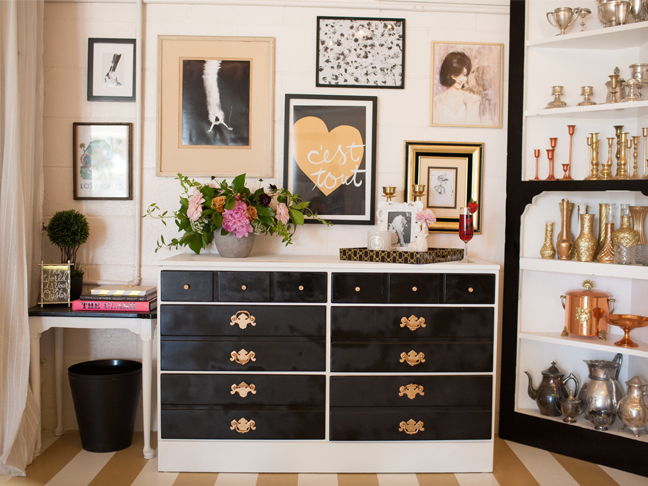 We love the girly prints that play up this room’s color scheme! 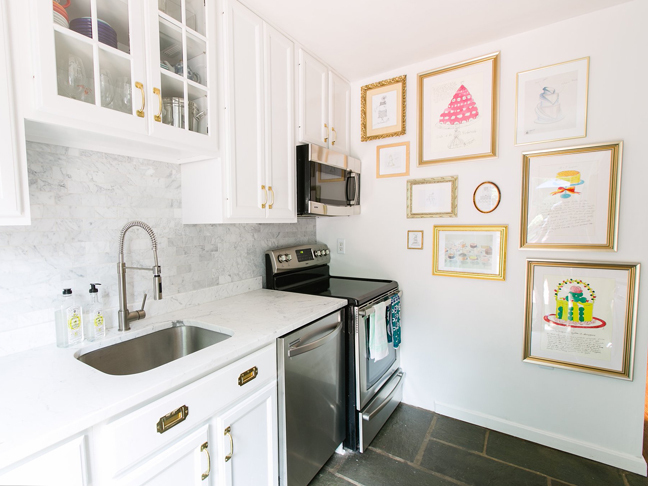 And why not put a gallery wall in the kitchen like Karson Butler did?! We are loving the cream, white, and gray bedrooms/living rooms/kitchens that are popping up all over our Pinterest feed! Light colors really brighten up a space and make rooms feel airy and LARGER. You can add dimension to the space by incorporating different textures of the same color like a faux fur pillow or a textured rug. 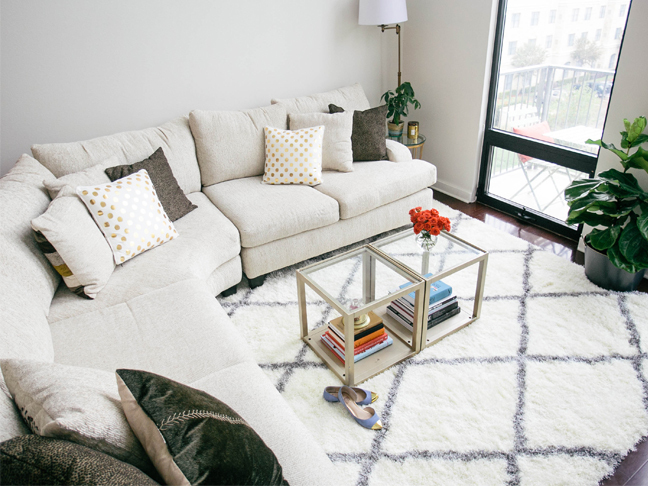 With the help of Lauren Kelp this loft masters the neutrals balancing act! 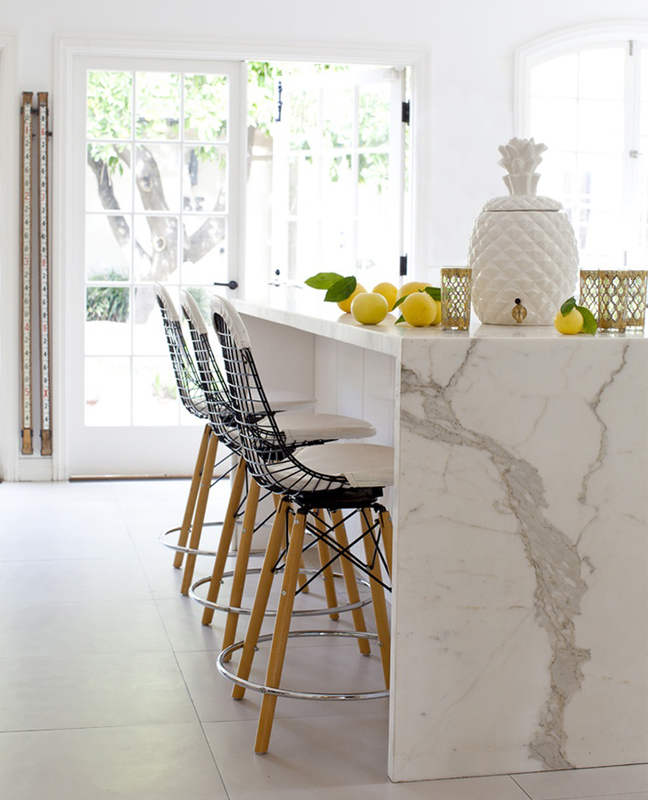 This bright white kitchen is beyond amazing! Using your coffee table and night stands as places to house your “pretty” accessories is a fun way to show your personality and interests. Favorite novels and style/décor books plus a few travel knick knacks or candles can really finish off a room. 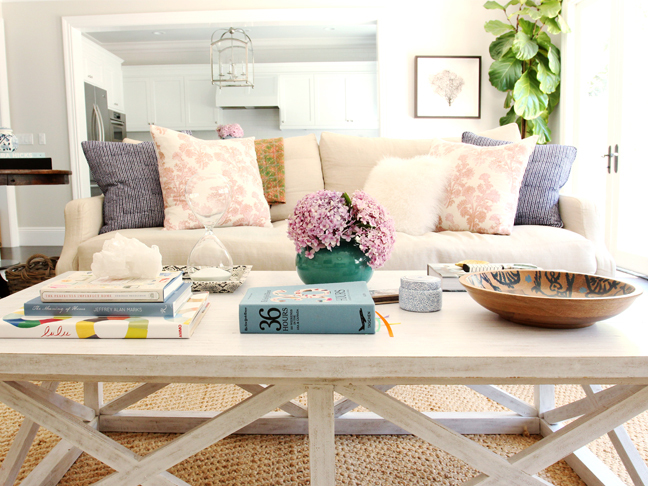 We learned a thing or two about coffee table styling from Studio McGee here! 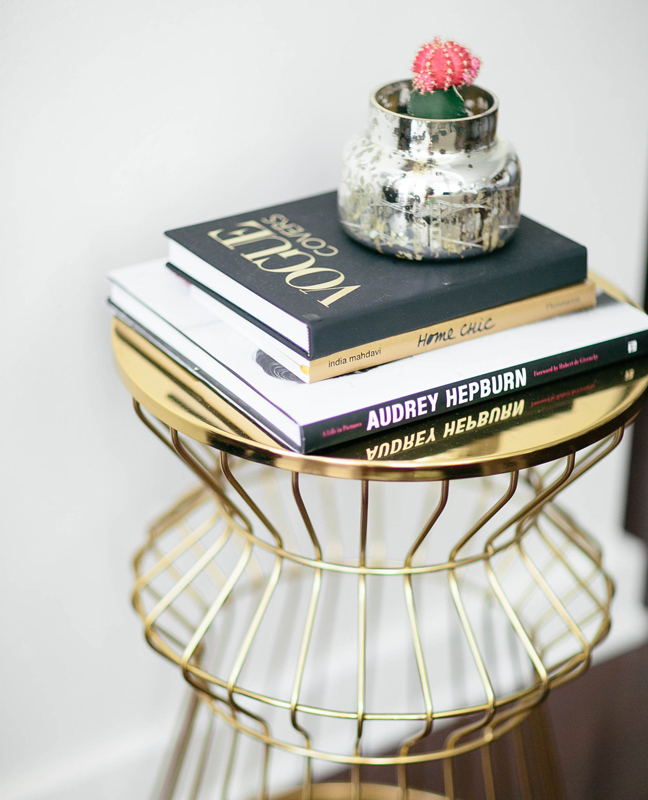 How cute does this end table look with some stylish books and the cutest little cactus?! Got any great tips for refreshing your home’s look? Let us know in the comments!